Drive south from Mammoth Lakes. For 2 nights in the Sierra backcountry I encountered hail and rail, which produced some unique lighting and stormscapes. 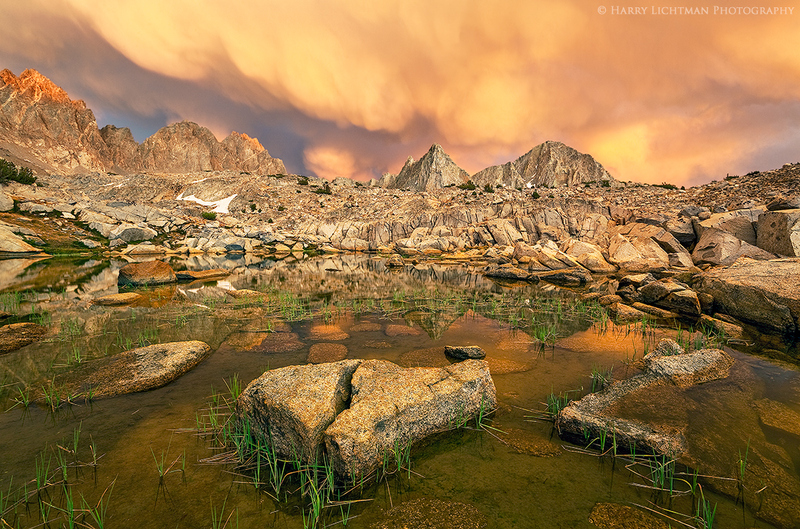 The highly reflective granite of the high sierra reflected the yellow and orange light of colorful mammatus clouds during sunset. I had eyed this composition earlier in the day, should the weather cooperated. After the hail ceased, I hustled from my sent and set up the shot before the clouds moved away.